Enabling you to change the existing look of your Giggle Mix Pram / Pushchair by swapping out the fabric elements, the Cosatto Giggle Mix Colour Pack is ideal if your original set is being washed, or simply if you fancy a change of style. Second child on the way? Mix it up! Need a refresh? Mix it up! Fancy a change? Mix it up! 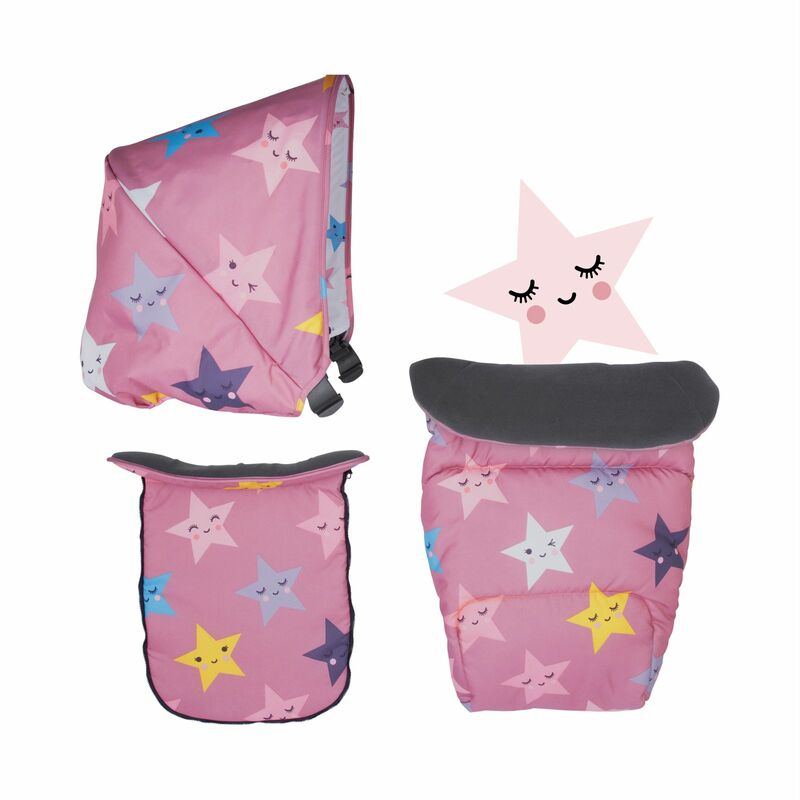 Each colour pack includes (UPF100+) hood fabric, pram apron and padded pushchair apron, each with fantastic imagination-stimulating patterns that your little one is sure to adore.